After breakfast and safari briefing, start off your day to the Bwindi forest for gorilla trekking. Return for lunch before heading out again late in the afternoon for a guided village walk before returning for dinner.Overnight at Buhoma Community Bandas (Camping Ground) booked on Full Board: Lunch/Dinner/Breakfast. Enjoy early breakfast then depart for Kibale forest national park via Queen Elizabeth National Park. 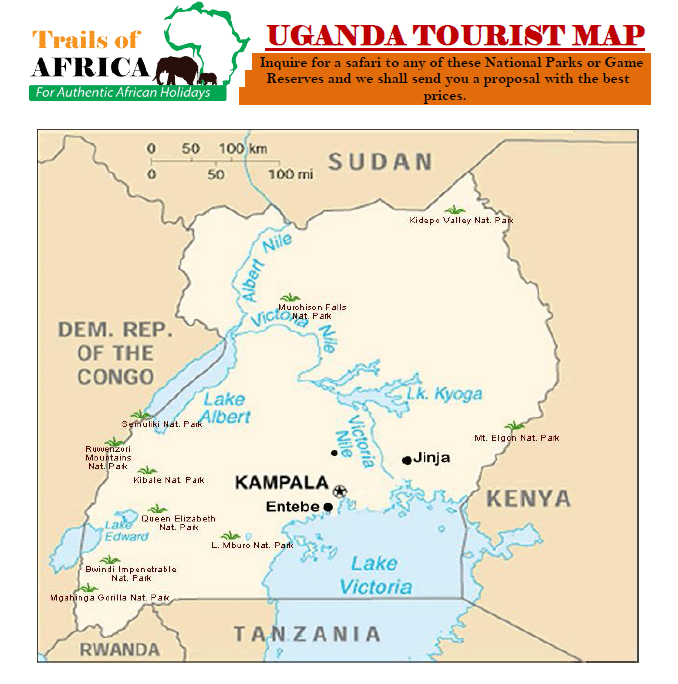 This gives you an opportunity to see tree climbing lions and antelopes as the drive goes on. Lunch on arrival in Fort portal town. Later in the afternoon you will have nature walk to the crater lakes. Proceed to your hotel for Dinner and overnight.Overnight at Chimpanzee Guest House (Camping Ground) booked on Full Board: Lunch/Dinner/Breakfast. Enjoy breakfast then leave for Kibale forest National Park for Chimpanzee trekking. Other primates that can be spotted here includes colobus, blues red-tailed monkey and grey cheeked mangabey.Overnight at Chimpanzee Guest House (Camping Ground) booked on Full Board: Lunch/Dinner/Breakfast. After Kibale, you will depart for Kampala or Entebbe for your flight back home. Lunch enroute.